At some point during that emotionally charged time after the baby was born but before any steps had been made toward his eventual placement, I found myself standing with the social worker in a quiet hallway. Somehow we got onto the topic of those reality shows that follow expectant parents and prospective adoptive parents around from pre-birth matches to placement. "It's hard to think of a worse time to have cameras around," I commented. "Oh, I know. Our agency has gotten called more than once trying to get us to participate in those shows," she said, the disdain in her voice making her opinion clear. I've said my piece about those shows before, but one of the many things about them that sets me to grinding my teeth in rage--and among the things the social worker and I talked about that day--is their framing of relinquishment/placement as the conclusion of a story. In the interest of shoehorning real-life events into a dramatic storyline, the show-makers nearly always present it as a conflict of, "Will the birthmother go through with it? Will the adoptive parents get that baby they so deserve?". (Biased, unethical language intended there.) The placement, then, serves as their tidy, happy ending. There are so many damaging ripples from shows telling the story that way, over and over. (Imagine for a moment if instead the happy ending were the new mom finding a way to parent after all.) But the least of them is simply that it is not an open adoption. That is the tip of the iceberg, the starting point for a lifetime of exploring, working on, experiencing the richness and challenge, grief and joy of openness in adoption. Don't show me a made-for-tv storyline culled from a several weeks of a pre-birth match and placement and tell me that is an "adoption story". You haven't shown me the story of an adoption. 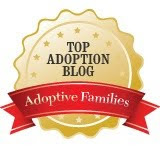 You've only shown me the events leading up to the very start of an adoption, one in which relationships will grow and change, and in which the most important person--the adoptee--has yet to gain a voice and active role. In order to keep this story from falling into that same trap, allow me to spoil the ending-that-is-not-really-an-ending for you before continuing on. Meet our newest son, born to Shamika and Derrick. He turned two weeks old yesterday. This isn't just a story about how our family became his. It's the first chapter of a lifetime-long tale that is only just beginning. Oh so happy to be a part of this ongoing story with you! Thanks for sharing with us! *sniff* So, so, so adorable and fresh! So happy for all of you - the whole OA shabang! He's beautiful. =) Thanks for sharing the story. Congratulations! He's a doll! Thanks for sharing your story with us! I've been waiting for an update and here *HE* is! Awesome! goosebumps and shivers and what a beautiful little guy!!! congrats to everyone and prayers as the story goes forward. Congratulations on your newest little one. He is beautiful! I've loved reading this story so far...the way you have pieced it out. He is beautiful and I look forward to reading more of all of your stories. Handsome beyond words. 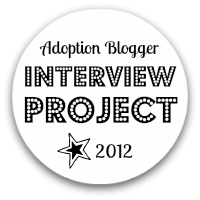 Congratulations in the new addition and best of luck at the beginning of another open adoption journey to you and T and welcome to the blogosphere new baby! He's beautiful! I can't wait to follow the rest of the story. LOVE! He is beautiful CONGRATULATIONS to you ALL! Wow, Heather, wow! That really sums up how this all came together. Enjoy your new addition and we look forward to getting to know him through you. Oh my Goodness, what a gorgeous baby!! He's lovely! Congratulations! Looking forward to hearing more as his story unfolds. Beautifully written. And of course a beautiful baby! Oh, man. That precious little face peeping out from his snuggly swaddle - and the loving story you are sharing with it - just really make me rethink our one-and-done decision. SO sweet! Congratulations, and welcome little Sweet Pea. I hope everyone is doing well. wow. wow. and wow. need to check in more often. oh wow. wow. wow. wow. big welcome to the new boy, and lots of love to all- look forward to hearing more. you've said it all so well, as always. I'm a longtime lurker, and I have to go public to say that you made me cry tears of joy in front of my laptop. Congratulations! 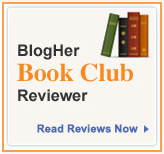 Thank you for writing this blog. I'm just catching up. Congratulations. What a beauty!